Owner/director Sue Jennings has over 30 years of experience in early education programs. Our entire staff is CPR/first aid certified. Teachers regularly attend state-approved health and safety courses. 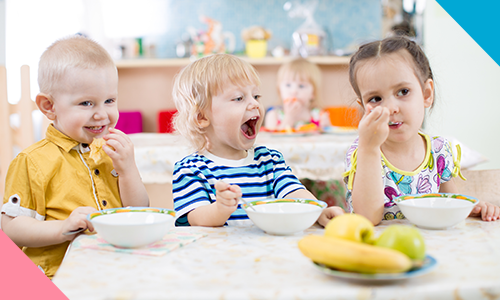 The A-2-Z early childhood center offers competitive pricing with many centers in the area. We offer a 10% discount to police, fire, and EMS personnel. Full-time families will also receive a 10% discount off total enrollment for additional children enrolled in the daycare center. A-2-Z accepts NJ subsidies. 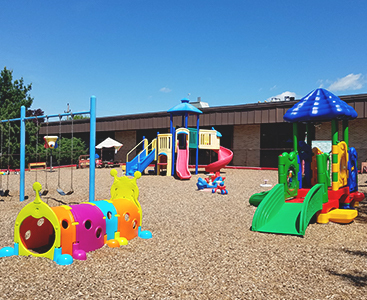 The lot is located on Esna Drive, and there is a large semi-private parking lot where children can safely be escorted into the building. The creative curriculum at our early childhood learning center consists of child-initiated, teacher-supervised learning. We give the children the tools to learn how it fits their needs. We have a 7,500 square foot early childhood center that allows us to have individual classrooms for each learning stage. This also includes a library, and additional outdoor playground. Classrooms are equipped with surveillance, and the front door is coded with an individualized pin. The goal of our preschool is to have our Pre-K students ready socially, emotionally, and academically ready for kindergarten. We use a state-of-the-art communication system (Brightwheel) that allows us to communicate better with parents. Click here to learn more about Brightwheel.